Lookie what came in the mail today! My swag for Everlost. I'm tickled and in love! Then sweat started to pour from my brow to know the release is only 15 days away. Gasp! So much left to do! So... there's two ways to get your hands on some swag. 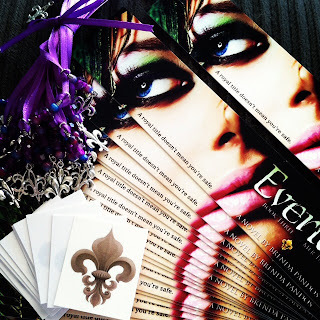 OR... for those who are extra creative and spread the word for the release of Everlost, I have a bookmark, fleur-de-lis bobble, and fleur-de-lis tattoo (while supplies last). 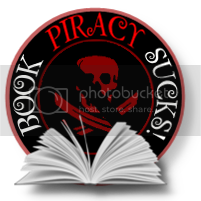 Ideas: Change your avi to the EVERLOST book cover, tweet something with #everlost hashtag, use my name/book and share on a posts (link to me so I know), share any of my facebook posts, you get the idea. Email me with a link to your creative awesome sauce and your address at: brendapandos(at)gmail.com. Also, enter my contest below if you haven't yet! Such a huge fan of this series!! This book just looks amazing, and the cover art is phenomenal! Love it! Thank you for the great giveaway!!! !